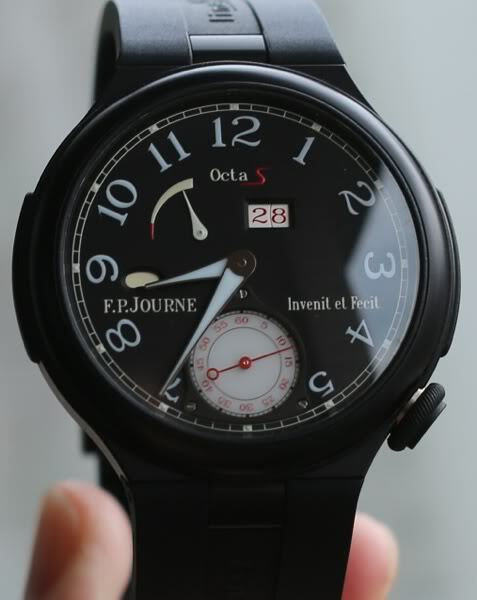 Last year at the Indy 500, I first saw the all black ARS on François-Paul Journe’s wrist. For two months, anticipation built until the excitement really began. The presentation box looks ultra cool also designed in black aluminium. 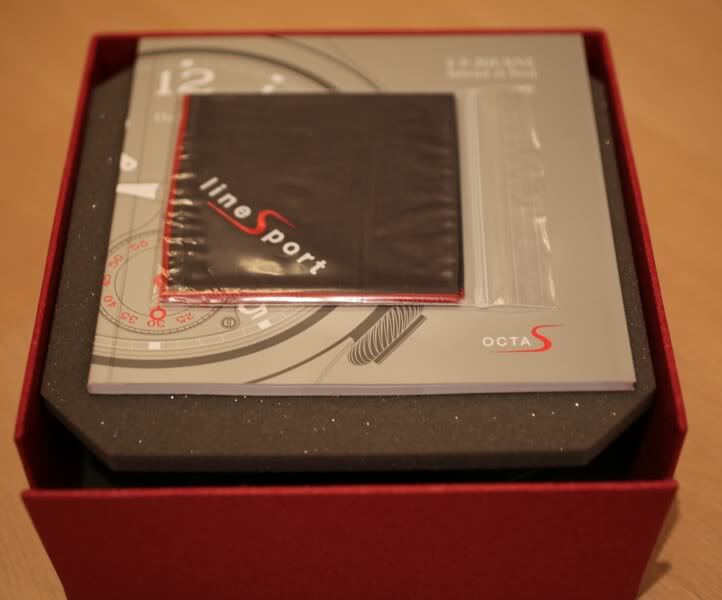 Inside is the new Octa Sport in Aluminium (model ARS). 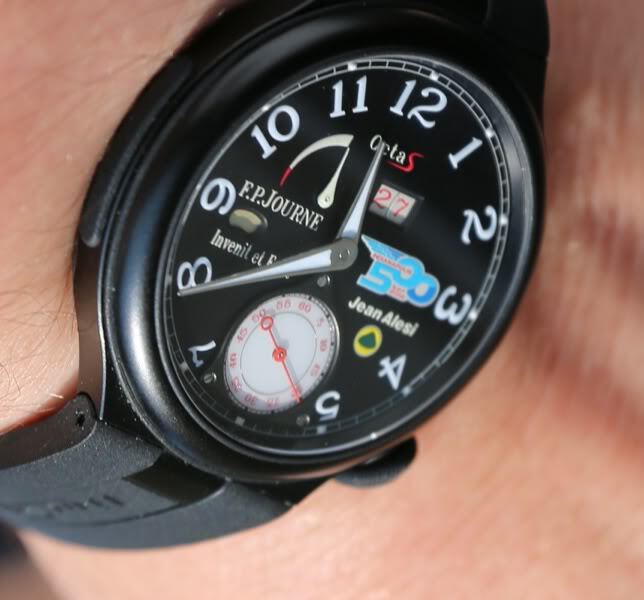 This all black limited series of 99 pieces commemorates the participation of Jean Alesi to the race. 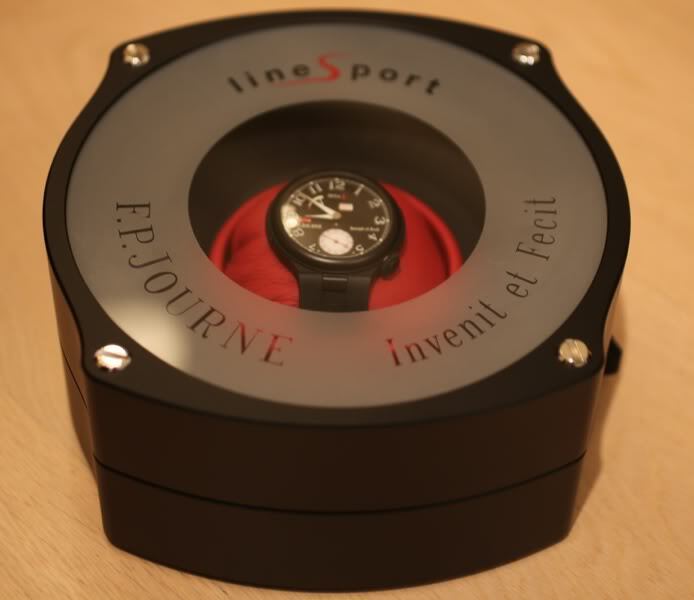 The case size is 42mm in blackened scratch resistant aluminium with rubber inserts. The thickness is only 11.6mm. The dial has luminescent hands and appliqués, a small second counter, day night indicator, and power reserve. 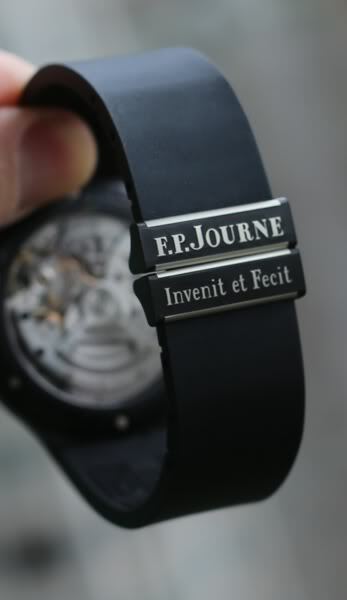 The black rubber strap includes a blackened aluminium folding clasp with FP Journe signature Invenit et Fecit inscription. I really like there the thickness and durability of the rubber. Inside is the Octa automatic movement also in aluminium (calibre 1300.3) with a unidirectional oscillating weight in titanium with tungsten segment. Owners have a choice to have the logo on the dial or not. While I like the logo today I felt over time I would prefer without. I’ve included a photo for comparison. I’m no longer shocked by the lightness of the watch (53g) but it is truly incredible. 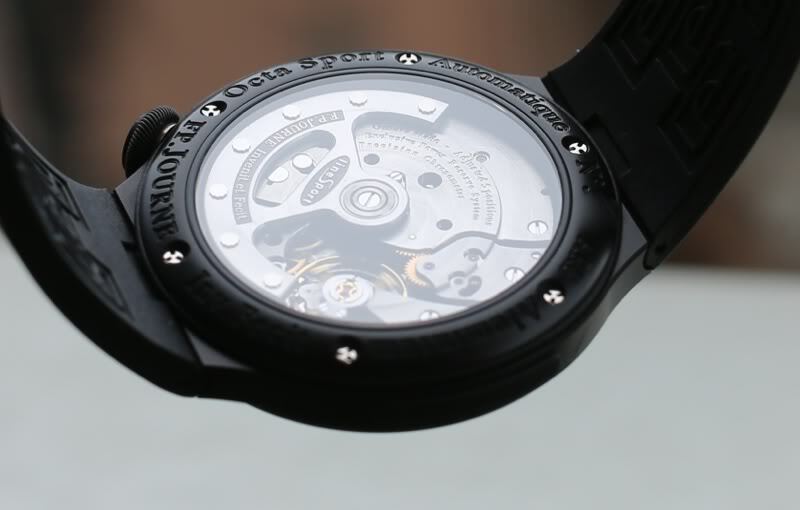 The watch has all the same attention to detail as the rose gold Octa movements but at a fraction of the weight. I only wish it was also a fraction of the price. 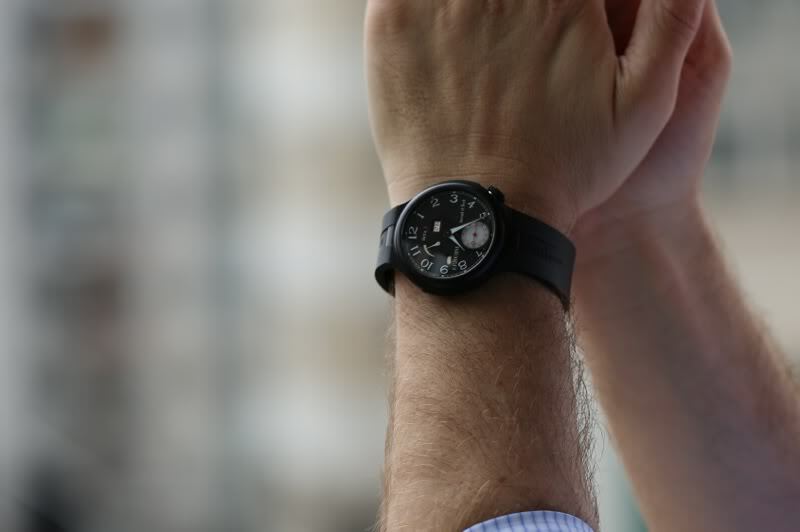 After receiving the watch you have to have the rubber strap fitted to your exact wrist size. They boutique will actually cut segments of the rubber so you need to get it right the first time. I’ve kept mine more on the loose side to see how it feels after wearing it for the weekend.